Book Corner: Rebels and Brothers by Derek Birks – History… the interesting bits! 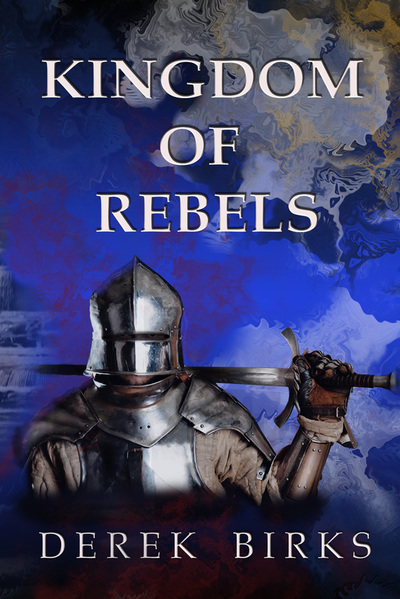 Derek Birks‘ ‘Rebels & Brothers’ series of 4 novels is a tour de force in Wars of the Roses fiction. Many books claim to be ‘in the best tradition of Bernard Cornwell’ or ‘a worthy successor to Cornwell’. But very few live up to such promise. however, when I read Derek Birks’ debut novel I thought that, just maybe, I had found one that lived up to such high praise. By the 2nd book I knew the praise was well-deserved. The Rebels & Brothers series grabs you on the 1st page and keeps you hooked until the very end. And yet they leave you bereft once you have finished, as you know you are not going to read another book as good anytime soon. The books interweave the personal stories of the Elder family with the wider political and martial drama of the Wars of the Roses. We follow the 3 Elder siblings, Ned, Eleanor and Emma, as they try to negotiate a safe passage through the war, whilst battling a family feud and making enemies at the highest levels of society. 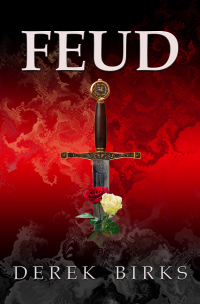 Feud: In 1459, as England stands on the brink of the Wars of the Roses, Ned Elder, a Yorkshire knight, finds himself caught up in the wars when his family is brutally attacked by a local rival, Lord Radcliffe. Ned’s sisters, Emma and Eleanor, are abducted and he must find a way to rescue them. With only a few loyal companions, Ned is hounded across the land by the Radcliffes. Ned and his sisters fight back, but they are young and they make mistakes – and new enemies – along the way. All will be decided on the snowy battlefield of Towton – for Ned and for England. A Traitor’s Fate opens in 1464. The feud with the Radcliffes is over and the Elder siblings have won a hard-fought peace. But one man can’t accept the outcome and finds a new ally to help him achieve his revenge. Ned is sent to confront a Lancastrian revolt by the new king, Edward of York, he finds his enemies are on his own side, as well as that of the rebels. Branded a traitor by his own commander, the Earl of Warwick, Ned is soon a wanted man in hostile territory and the price on his head only rises when he stumbles upon a royal secret. Meanwhile, Eleanor and Emma watch over Ned’s pregnant wife, Amelie, w ith only a small garrison of old men and boys to protect them. A condemned man, Ned fights to escape his pursuers before his whole family suffers destruction. Having read Feud I was expecting great things from the 2nd book – and it did not disappoint. The story is told in great detail, the action is fast-paced and the characters elicit a great deal of sympathy and empathy. 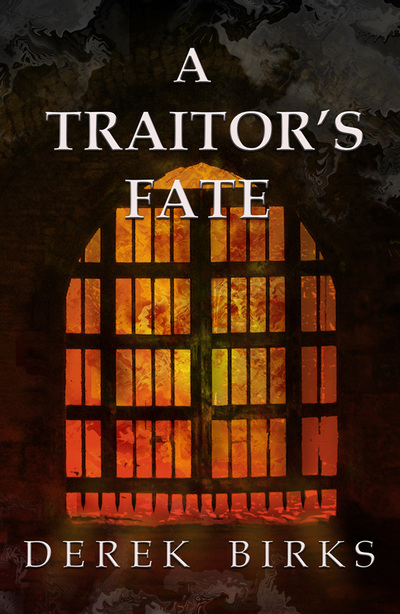 A Traitor’s Fate is one of those increasingly rare stories which are impossible to put down – and yet, at the same time as you can’t wait to get to the end, you don’t want it to finish. Book 3 of the series, Kingdom of Rebels, takes you on a journey through one of the most turbulent periods of the reign of Edward IV, through the eyes of this one Yorkshire family trying to survive the feuds and battles of the Wars of the Roses, whilst simultaneously trying not to destroy each other. It is impossible not to feel invested in the characters – they are flawed and damaged, but trying their best to survive and you find yourself willing them on. The story sees Ned Elder exiled to Burgundy by the Earl of Warwick, but for his enemies this is still not enough. At the same time, but far away on the Scottish border, Ned’s sister Eleanor defends the small, beleaguered fortress of Crag Tower; with only a handful of men, she desperately awaits Ned’s return. Set against the backdrop of a nervous kingdom, where its 2 most powerful men – Edward IV and the Earl of Warwick – are at loggerheads, Ned must fight – yet again – to save his family. One by one Ned’s family and friends are caught up in Warwick’s web of treason. The fate of the Elders and those who serve them lies once more in the balance as all are drawn back to Yorkshire where they face old enemies once more. But is Ned the warrior he once was? As the kingdom spirals into civil war, divisions between Ned and his sisters, Emma and Eleanor, threaten the family’s very survival. Out of the turmoil of rebellion steps an old enemy who offers to help, but can he be trusted? Will the Elder family stand together when it matters most? They must, if they are t o survive. 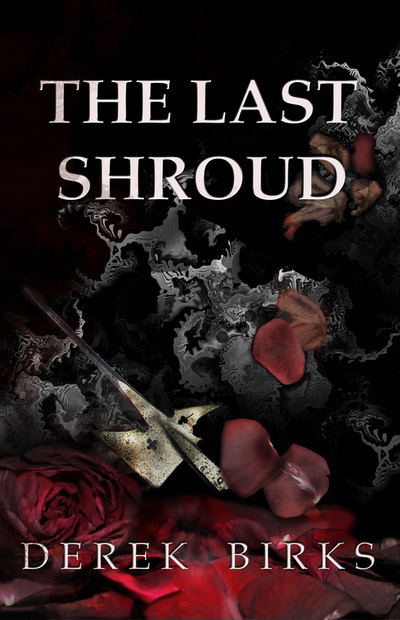 With The Last Shroud, the Elder family story comes to an end – and what an ending! It has been a rollercoaster ride through the Kingdoms & Brothers series and this book is no exception. Following Ned and the rest of the Elders through the Warwick Rebellion against Edward IV and culminating with the Battle of Tewkesbury, the family fights to survive, mending some – but not all – bridges along the way, and still making new enemies. As ever, the story telling is fast-paced and masterful, and the finale frenetic. A worthy final chapter to what has been a magnificent series. There are several themes running through all 4 books. The Elders face many enemies, and some change from book to book. But one enemy stays the same: the powerful Earl of Warwick. Offended by a young Ned at the Battle of St Albans, Warwick takes every opportunity to try to bring Ned down – and ruin his family. Using the feud with the Radcliffes he encourages and aids Ned’s numerous enemies in their endeavours. Set in one of the most turbulent periods of Medieval history, the battle scenes are vivid, hectic and alive with action. The family doesn’t survive unscathed and it is the losses and hardships they suffer, and how they react to them, that makes them such sympathetic and likeable characters. A great feature of the stories are the strong, independent women. They don’t just sit at home, sewing in the solar and waiting for their men to come home. They are not victims , nor powerless. They are fighters, women who take what life throws at them and battle on. But they find romance too, and face the trials and tribulations of love just as stoically as they do their enemies. Derek Birks follows the historical story of the Wars of the Roses with great accuracy, dropping Ned and his family into the well-known events wherever they can cause the most drama, or see the most action. The Elders are present at all the key events, from the opening shots at the 1st Battle of St Albans, to the Yorkist victory at Tewkesbury. To put it succinctly, this series is edge-of-your-seat action from start to end, leaving you breathless in your armchair. Believe me, you don’t want to miss a moment. Pingback: The Harrogate History Festival – Indulging the History Geek – History… the interesting bits! Pingback: Book Corner: Scars From the Past by Derek Birks – History… the interesting bits!